America used to be the tallest country in the world. CBS News correspondent Randall Pinkston asked people in New York's Times Square, "Who are the tallest people in the world?" China received several vote, perhaps because of certain nba basketball players or recent news stories featuring the world's tallest man, who was married last week. He's 7 feet 9 inches. But the most common answer — Americans — is the wrong answer. In fact it's the Dutch. "The Dutch? The Dutch, oh, wow," was the reaction from Carol and Elaine in Times Square. In the Netherlands, the tallest country in the world, the typical man is now measures 6 feet, a good two inches more than his average American counterpart. But just as it has in so many other arenas, America's predominance in height has faded. Americans reached a height plateau after World War II, gradually falling behind the rest of the world as it continued growing taller. Even residents of the formerly communist East Germany are taller than Americans today. Compare that to 1850, when the situation was reversed. The people of all the nations of western Europe stood 2½ inches shorter than their American brethren. Many economists would argue that it does matter, because height is correlated with numerous measures of a population's well-being. "People who live in rich countries tend to be tall," Ohio State University economist Richard Steckel told CBS News. Tall people are healthier, wealthier and live longer than short people. Some researchers have even suggested that tall people are more intelligent. It's not that being tall actually makes you smarter, richer or healthier. It's that the same things that make you tall — a nutritious diet, good prenatal care and a healthy childhood — also benefit you in those other ways. "Average height is very sensitive to inequality. The poor, to the extent they aren't getting good nutrition, good health care, they will not grow," said Steckel. "This is the part of the society that usually eludes economists, because economists are usually thinking about income. And this is the part of the society that doesn't earn an income," said John Komlos, an economic historian at the University of Munich who was born in Hungary, grew up in Chicago, and has spent the last quarter century compiling data on the heights of nations. 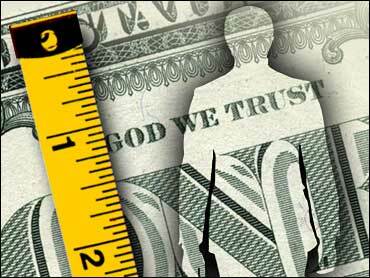 Height tells you about a segment of the population that is invisible to traditional economic statistics. Children don't have jobs or own houses. They don't buy durable goods, or invest in the stock market. But obviously, investments in their well-being are critical to a nation's economic future. "It's absolutely fascinating," said Eileen Crimmins, a demographer at the University of Southern California. "Maybe we've reached the point where we're going to go backwards in height." Like many human traits, an individual's height is determined by a mix of genes and environment. Some experts put the contribution of genes at 40 percent, some at 70 percent, some even higher. But they all agree that aside from African pygmies and a few similar exceptions, most populations have about the same genetic potential for height. "We know environment can affect heights by three, four, five inches," said Steckel, who has done research on height trends in the United States during the 19th century. The earliest stages of life are the most important to the human growth machine; at age 2 there is already about a 70 percent correlation between a child's height and his or her eventual adult stature. All of this means a population's average height is a very sensitive indicator of its most vulnerable members' welfare. Not surprisingly, rich countries tend to be taller simply because they have more resources to spend on feeding and caring for their children. But wealth doesn't necessarily guarantee that a society will give its children what they need to thrive. In the Czech Republic, per capita income is barely half of what it is in the United States. Even so, Czechs are taller than Americans. So are Belgians, who collect 84 percent as much income as Americans. And those height differences translate into real benefits. A number of studies have shown that disease and malnutrition early in life — the same things that limit a person's height — increase a person's chances of developing heart disease and other life-shortening conditions later on. Though tall people are more likely to get cancer, they suffer less mortality overall than short people. International statistics bear it out. Life expectancy in the Netherlands is 79.11 years; in Sweden it's 80.63. America's life expectancy of 78.00 years puts it in somewhat shorter company, just above Cyprus and a few notches below Bosnia-Herzegovina. "Obviously America is not doing badly. It's not at the level of developing nations," Komlos said. "But it's also not doing as well as it could." His latest research paper, published in the June issue of Social Science Quarterly, suggests the blame may lie with America's poor diet and its expensive, inequitable health-care system. Komlos' most recent data indicate a small uptick in the heights of white Americans born between 1975 and 1983, a suggestion that the gap may finally be closing. But there has been no similar increase among blacks, a suggestion that inequality may indeed play a significant role in the height gap. In another recent paper, Komlos and Lauderdale also found height inequality between American urbanites and residents of suburbs and rural areas. In Kansas, for example, white males are about as tall as their European peers; it's big cities like New York, where men are about 1.75 inches shorter than that, that drag America's average down.